Jason Wood is a man of many talents and truly unique experiences. He’s also a man with a past and childhood challenges that would test any child. Conflicted, he made choices and aligned himself with the right people to get to where he wanted to go in life. This is a story of how an adopted boy quickly learned how to survive, navigate and negotiate. An entrepreneur who stumbled into writing after finding inspiration through a letter he wrote to his birth parents, Jason, shares his candid memories growing up in Northern California making sense of the adults who raised him and left him. A sailor at heart and a true lover of the sea, his favorite childhood memory was being down in the harbor, looking at boats and walking on the pier. Born in downtown San Francisco California and raised in Half Moon Bay, California and Lake Oswego, Oregon, Jason is the youngest in the family with three sisters. 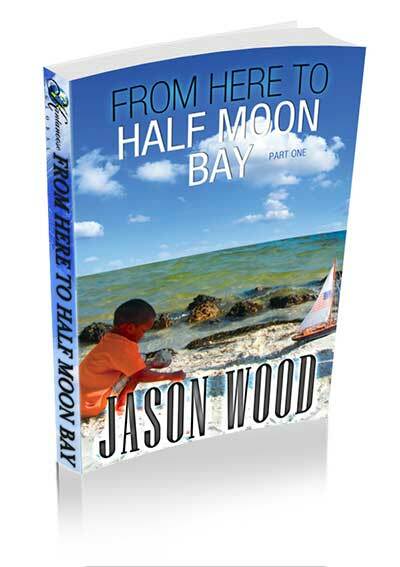 As a young man, Jason was inspired by writers such as Malcolm X, Solomon (from the Bible) and Mark Haddon.